RAM BusinessLink is a free program that connects business owners to a network of commercial vehicle dealers that are specifically equipped to work with small businesses. So, if you work in the Lubbock area and are looking for a transportation partner, this might be your answer. What are the Benefits of RAM BusinessLink? This program also provides local with businesses with preferred access to commercial vehicles, service, and special offers that aren’t available to the general public. You’re also able to access On-the-Job Allowance for special equipment or service allowances, which helps you save on even more. Who Can Sign Up for RAM BusinessLink? If you’re not sure if you quality, a commercial associate at your local RAM BusinessLink-affiliated dealership can help you determine if you have the correct documentation needed. Find out more about how RAM BusinessLink can help save you money and provide you with access to commercial vehicles and service. 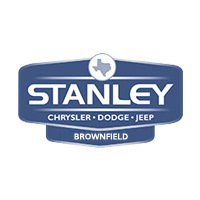 Contact us online or visit our us in Brownfield. 0 comment(s) so far on What is RAM BusinessLink?